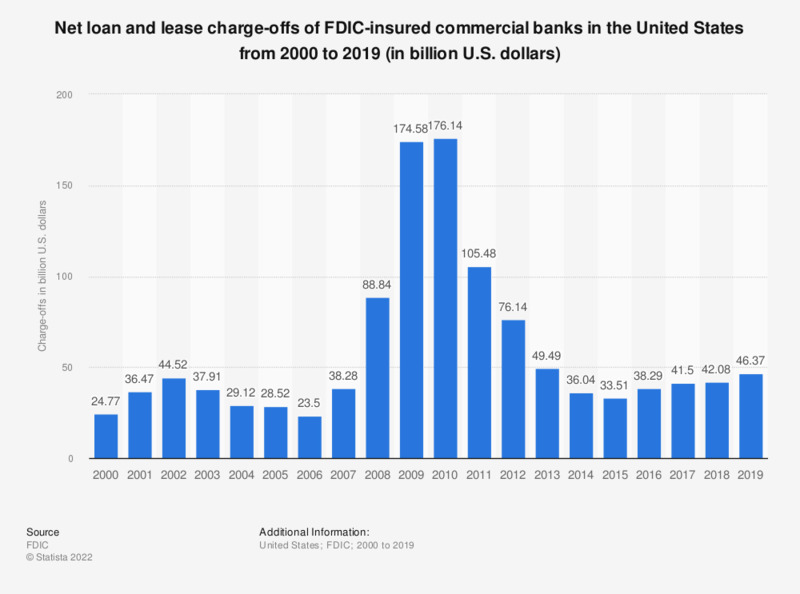 The statistic presents the net loan and lease charge-offs of FDIC-insured commercial banks in the United States from 2000 to 2017. In 2017, the net loan and lease charge-offs of FDIC-insured commercial banks amounted to approximately 40.95 billion U.S. dollars. Net loan and lease charge-offs are calculated as gross loans and lease charge-offs minus loan and lease recoveries.